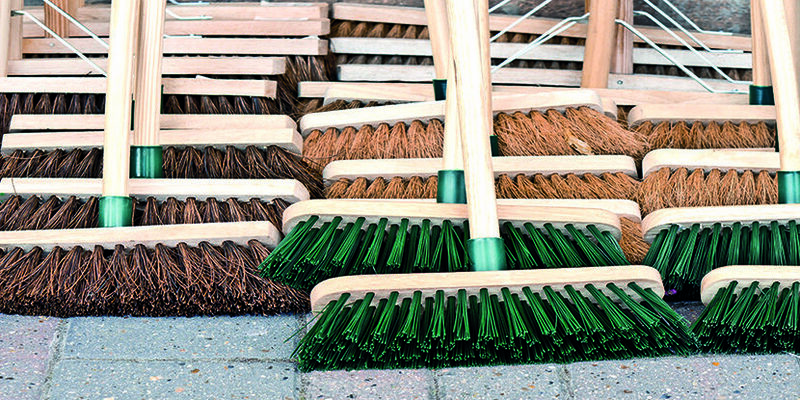 After the Battistelli era there is a new broom at the European Patent Office. The former president left a legacy of deep distrust of the leadership on the part of the workforce. The debate about the quality of the patents being granted by the EPO continues to rage. The new management under president António Campinos includes three vice-presidents who joined the management committee in 2019. They face a Herculean task. The first signs of change are already visible. Patent attorneys interviewed by JUVE Patent are cautiously optimistic about the discussion surrounding the quality of patents granted by the EPO. “We see that Campinos is very willing to talk. He took the time to talk to representatives of the legal profession,” says Eva Ehlich, patent attorney at Maiwald. Munich firm Maiwald was one of four German law firms to sign an open letter in mid-2018 expressing criticism of the efficiency strategy initiated by Battistelli. Those who signed the letter believe the increase in productivity has led to a decrease in the quality of patents granted. Campinos met with representatives of the law firms in October to discuss the concerns expressed in the letter. “This step would have been unthinkable under Battistelli,” said a patent attorney from a large British IP firm. But now deeds must follow words. “We expect that the purely figure-driven quest for efficiency will weaken somewhat and that the rise in productivity will have no effect on the quality of the results,” says Mathias Karlhuber from Cohausz & Florack, a firm which also supports the initiative of the four German law firms. The dismissed union members Elizabeth Hardon and Laurent Prunier, on the other hand, have been neither reinstated nor compensated. “Campinos is said to have offered one of them an amicable settlement,” an insider told JUVE Patent. Criticism is focused particularly on Principal Director for Human Resources, Elodie Bergot. 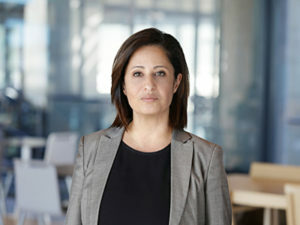 She is regarded as a key figure in the long-running dispute between the old EPO leadership and parts of the workforce − above all the year-long feud between Battistelli and SUEPO. Bergot was responsible for the disciplinary proceedings against various members of the union. “As long as she is in office, everyone is afraid to express themselves publicly and nothing changes in the atmosphere of the house,” claimed one insider. They added that it was absurd that Bergot, of all people, is responsible for negotiations with the still-suspended Hardon and Prunier. Critics are cautiously hopeful about Nellie Simon, the new Vice-President Directorate-General Corporate Services. Responsible for human resources, information management, finance, general administration and central procurement, the former director of the Academy of the European Union Intellectual Property Office (EUIPO) is said to have worked closely with Campinos in Alicante. Simon is regarded as empathic, and has technical and economic know-how thanks to her education at the TU Wien and the London School of Economics. It is expected that this background will enable Simon to better assess the requirements placed on EPO examiners, who have seen their workload steadily increase in recent years. Although new examiners were hired − in early 2018 the number had risen to 4,400 − staff claimed this was insufficient to absorb the additional work. Furthermore, according to EPO experts, some 1,200 examiners are expected to retire in the coming years. Finding suitable successors is difficult, especially since the duration of new employment contracts in the Battistelli era was initially limited to five years. “Even if there is an option for another five years thereafter, this uncertain situation is rather unattractive for skilled workers,” says one critic. The installation of modern IT infrastructure is set to alleviate the workload. At the same time, it should help to at least partially achieve the prescribed increase in efficiency. In his blog, the new president has identified the use of new technologies such as artificial intelligence and blockchain as future trends for the EPO. With Nellie Simon he has an IT expert in his team; her former role as director of EUIPO’s Digital Transformation Department proved that the Austrian is capable of leading an office into the digital age. And the task at the EPO is a big one. “As far as technology is concerned, Campinos has inherited chaos,” an employee said. The employee went on to add that the EPO is still working with a system that was introduced about ten years ago as a transitional solution. Given that research by JUVE Patent indicates hundreds of millions have been invested in IT in recent years, this has left some baffled. More control and transparency, both financially and in terms of working methods and organisational structure: this is what many in the European patent community desire from the new management. Campinos has commissioned a study on EPO finances, leading to the belief that financial transparency at least is being addressed. Expectations are particularly high for the new Vice-President of the Directorate-General for Legal Affairs and International Affairs, Christoph Ernst. “I hope that, with him, law and order will return to the EPO,” said an EPO expert. 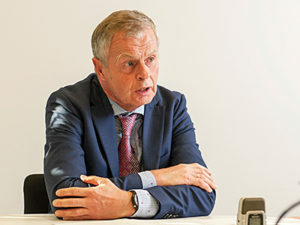 Former chairman of the Administrative Council Ernst was considered a moderate critic of the former president Battistelli and played a key role in the appointment of the current office holder Campinos. In addition to patent law, the lawyer Ernst is also familiar with commercial, trade and tax law. But he is not uncontroversial. Under his chairmanship, it is alleged that the Administrative Council exercised too little control over the management. “Actually, the Administrative Council is responsible for supervision, but this body has so far apparently consisted mainly of people who agree with everything the president proposes,” said one Dutch patent attorney. 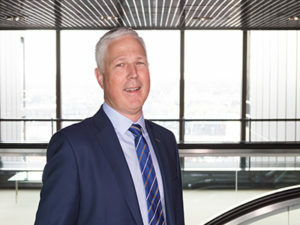 The appointment of Stephen Rowan as the new Vice-President of the EPO’s Directorate-General for Patent Granting Processes also gives the staff great cause for optimism. The Briton comes from the British patent and trademark office UKIPO, where he most recently served as director of Patents, Trademarks, Designs and Courts. 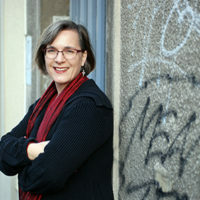 Rowan worked closely with Battistelli’s predecessor Alison Brimelow. An EPO staff member said, “Unlike Battistelli, Brimelow is very open and her work is always transparent.” A characteristic that many now also hope to find in Rowan himself. 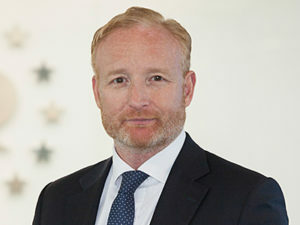 In an internal video in which the new EPO managers introduce themselves to the workforce, Rowan spoke of being accustomed to 360-degree feedback from the UK. This method is used to assess the competence and performance of professional and managerial staff from various angles, such as employees, superiors, colleagues, team members and customers. Employees hope that Rowan will also press ahead with the introduction of a similar management evaluation at the EPO. Campinos has not yet commented on the specific plans for his presidency, but has been sounding out the situation. “The office is currently undergoing a process of change, and the management is working on preparing a strategy plan for 2019 to 2023 which President Campinos will present to the Administrative Council for approval at its meeting in June 2019”, says Rainer Osterwalder, spokesman for the EPO, to JUVE Patent.